China cuts tariffs on US cars as a trade peace deal: Will it satisfy Trump? With the chances growing that the US and China will resolve their trade dispute and the dollar likely to weaken as the Federal Reserve stays on hold, the outlook for emerging-markets stocks is looking rosier. That’s the conclusion that JPMorgan Asset Management reached in a report published this month, adding that emerging markets are still in mid-cycle, despite a slowing economic momentum globally. Another point in their favor: valuations have become “quite attractive” after last year’s rout. The world’s second-largest economy will likely make concessions on opening up market access for autos and financial services, as well as lowering import tariffs on vehicles and consumer products, and increasing buying of oil, LNG and agriculture products, he said. 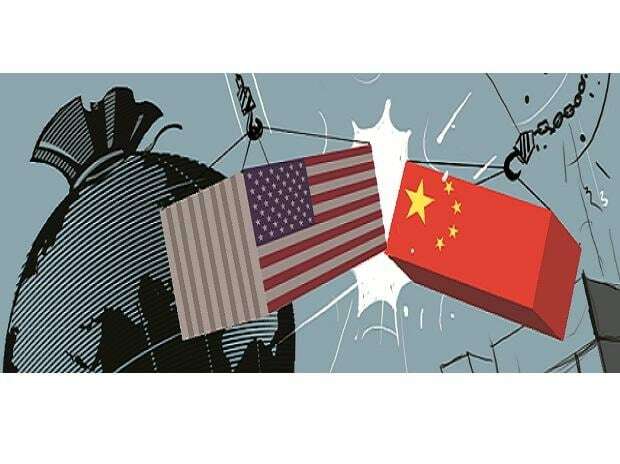 He sees the nation holding the line on sectors including software and health care, though a resolution could be stymied if the US “negotiates very aggressively” on sensitive issues such as intellectual property. Titherington notes that fundamentals have improved, and that “it’s difficult to see EM earnings performance getting much worse in 2019” unless there’s a global recession, which JPMorgan Asset doesn’t foresee in the near term. So far this year, emerging markets have been a “bright spot” for equity and bond inflows, BlackRock Inc.’s head of iShares EMEA investment strategy Wei Li said on Bloomberg TV Monday. Both the US and China want a trade deal, and that would bring relief to the assets, including those in China, she said. With the MSCI Emerging Markets Index trading at 1.6 times book value, up from a low of 1.4 times in October, JPMorgan Asset’s Titherington says long-term investors should consider adding to their exposure, especially if there’s further weakness. The firm estimates an aggregate five-year return of 14 percent for the gauge -- close to a previous peak.